Tuition is set on an annual basis. Half-day First Year Preschool (FYP) - $1,170 yr./$130 mo. Full-day First Year Preschool (FYP) - $2,430 yr./$270 mo. Half-day Morning Prekindergarten (PK) - $1,440 yr./$160 mo. Half-day Afternoon Prekindergarten (PK) $1,350 yr./$150 mo. 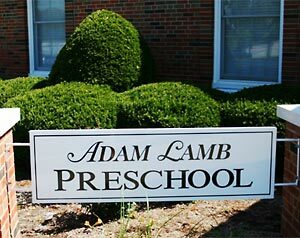 Full-day Prekindergarten (PK) - $2,745 yr./$305 mo. Half-day Junior Kindergarten (JK) - $1,710 yr./$190 mo. Full-day Junior Kindergarten (JK) - $2,745 yr./$305 mo. Tuition may be paid in full or on a 9 month payment plan. Families with more than one child in the preschool program or who are members of Dardenne Presbyterian Church receive a discount on tuition. A non-refundable $75 per child registration fee secures a spot for your child, and is due at the time of registration. A non-refundable $75 per child security deposit is due by May 15, or at the time of registration when enrolling after May 15th. Registration occurs in January of each calendar year. Currently enrolled families and church members receive priority registration before registration opens to the general public.